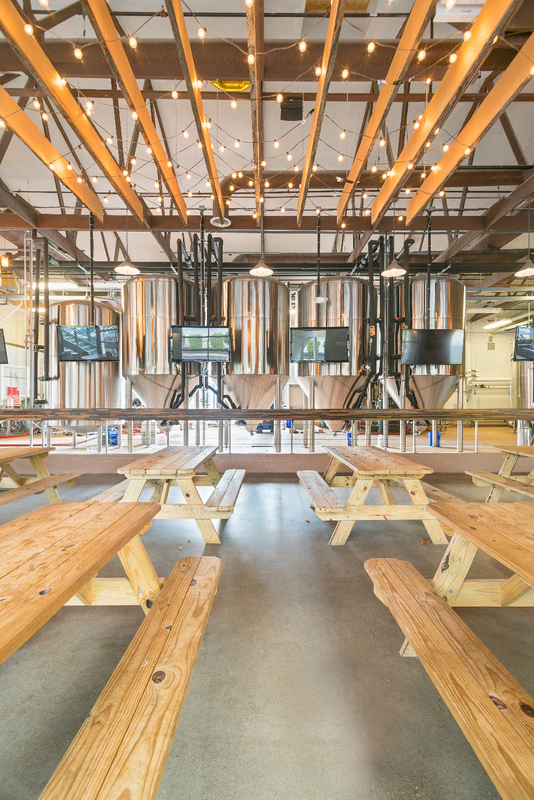 Fifty West Brewing Company campus is separated into a Brewpub and Production facility that are directly across the street from each other. 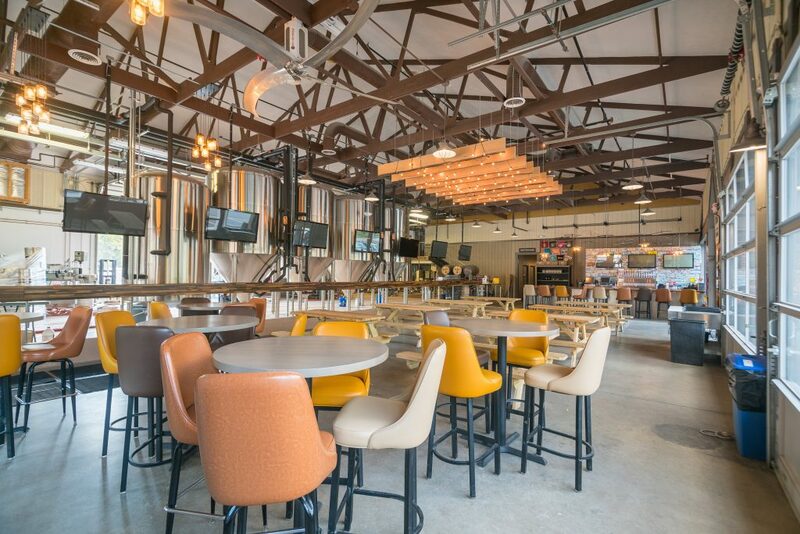 The Production Works space was an existing bar and restaurant, but it was expanded inside to hold additional brewing equipment and to be used as a casual taproom offering more on-tap craft beers than were previously possible. 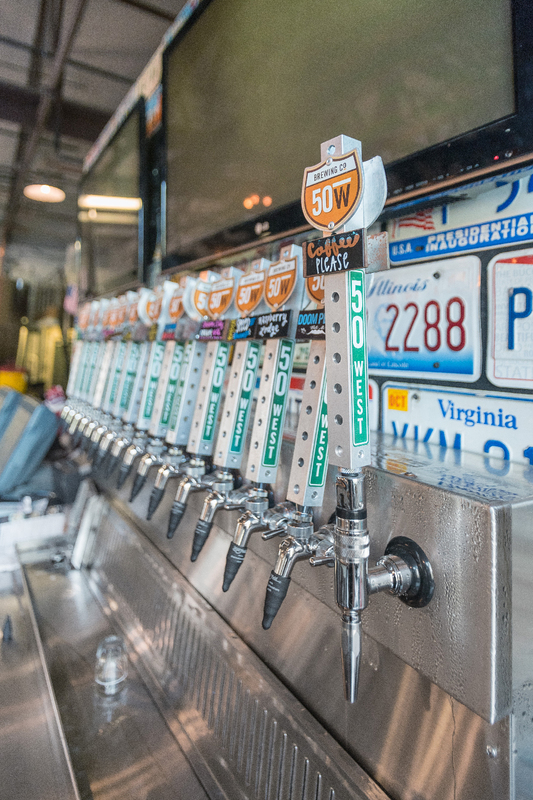 The design of the interior was inspired by the cross-country road trip the owners took from one end of US Highway 50 to the other in a vintage Airstream trailer, experiencing national parks, state landmarks, and everything in between. The vibe was to be casual, comfortable and retro. 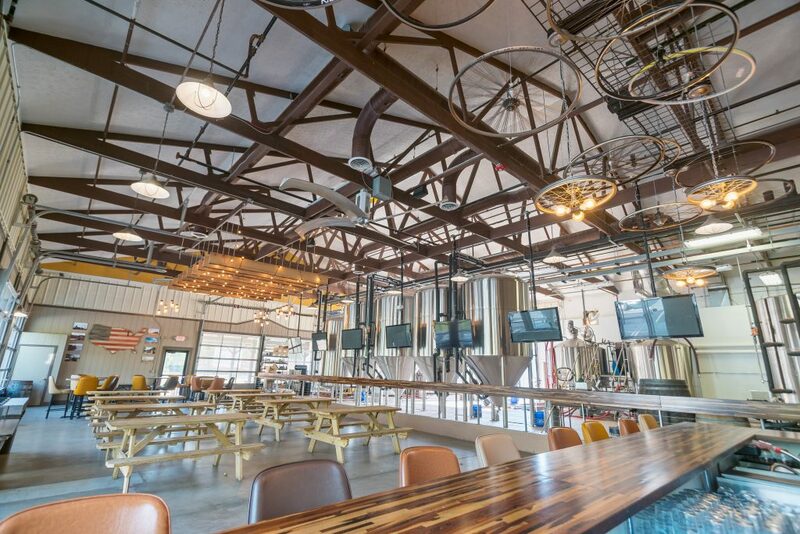 Through the use of vintage license plates, reclaimed bicycle wheels, and outdoor picnic tables, we brought the campsite feel inside the large taproom.